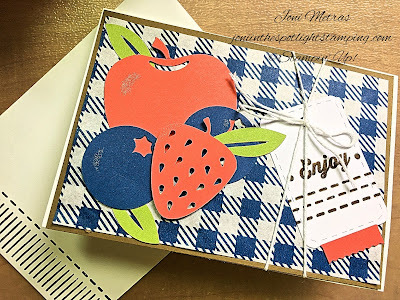 This month's Paper Pumpkin kit Picnic Paradise is soooooo cute!!! Very timely too-makes great teacher gift for back to school-just saying!!! It makes a ton of fun items!!! So here we will give you some ideas on alternative uses for the materials in the kit! There are so many fun materials in this kit!!! I know you'll find some amazing ideas!!! 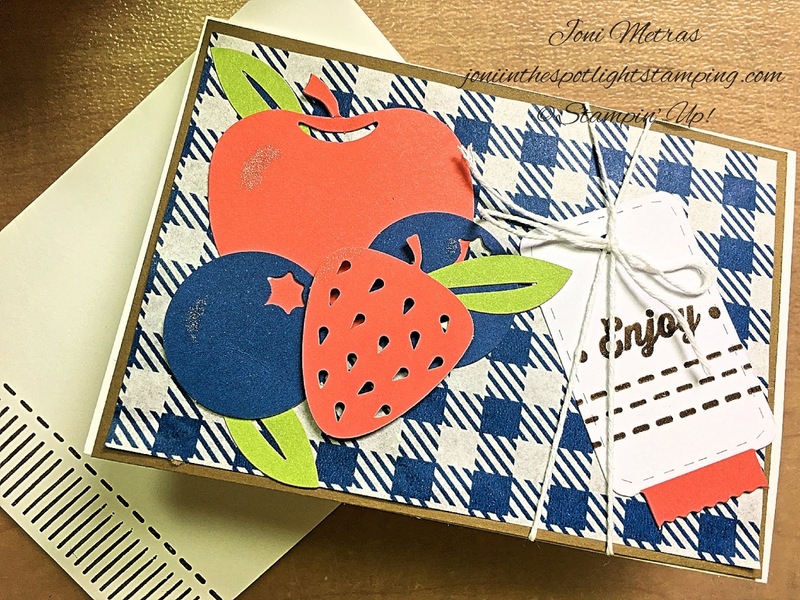 So I made a simple little card to go with the gift set! Whenever I "alter" the kits for these hops I like to try to stick to using only the materials in the kits, keeping it very CAS (Clean And Simple)! I have some beginners using these kits, & I want them to feel comfortable also! Clearly we have a ton of other products that you can use, but a lot of people are exclusive with the kits! Plus, those little red boxes are perfect to take on a vacation or business trip for some "quiet" time! I know I always have one with me. I throw in the block & some scissors & maybe a piece or 2 of card stock & I'm ready to craft anywhere! 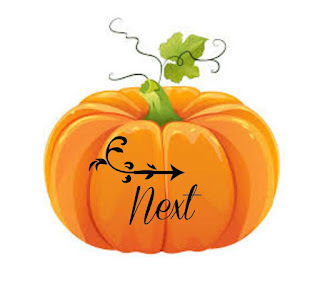 Card making is my "therapy", so after a busy day I love to settle down with a Paper Pumpkin kit! All I added to this card that's not included in the kit is some Soft Suede card stock & one of our Note Cards & Envelopes. 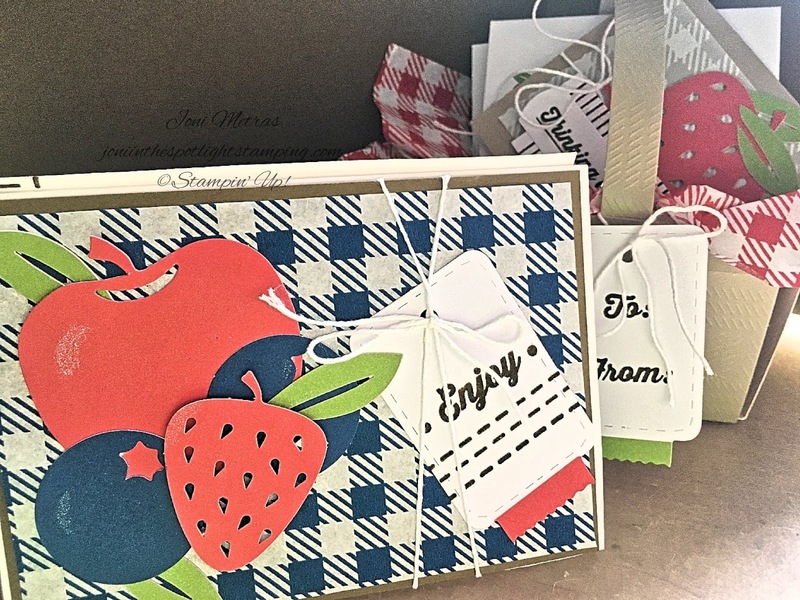 There are some adorable little note cards to fit into the cute little basket! The plaid paper is included-as is everything else you see here!!! Ink, adhesive, papers, baker's twine, etc., etc., etc.!!! 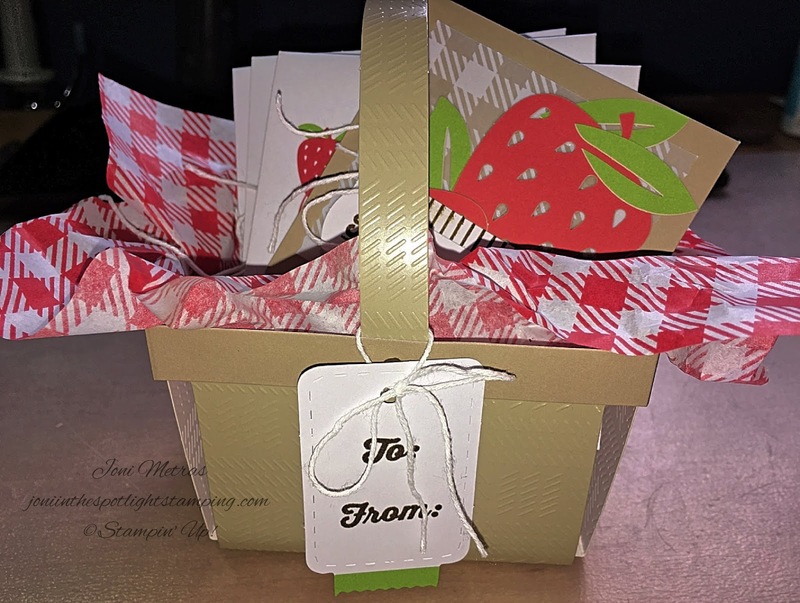 So just a simple little card to give with the cute basket of cards as a nice gift! Next hop over to Sharon's blog & I know you'll see some really amazing alternative uses for the Picnic Paradise Paper Pumpkin kit! Just click on her name or the "Next" icon below! 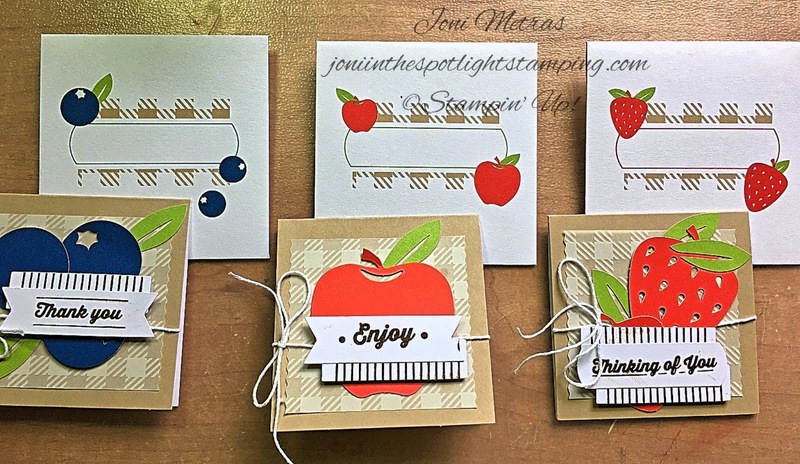 If you're new to Stampin' Up! 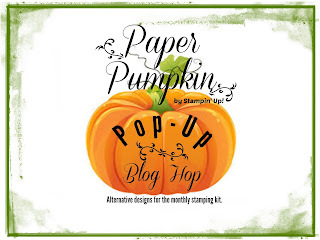 Paper Pumpkin & don't yet have a demonstrator I'd love to be yours!! Why not take advantage of this amazing deal!!!! Contact me for info!!! Or click on the picture to subscribe!!! 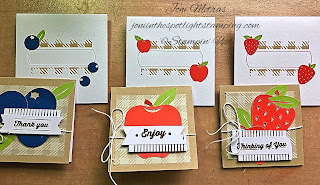 Cute card - it would be great for your favorite vendor at the farmer's market! Totally cute! Thanks for popping up with us this month! Love the berry combo on your card!! Great job! Super cute card! Love all the fruits on the front. SEA OF TEXTURES-ONE OF A KIND!